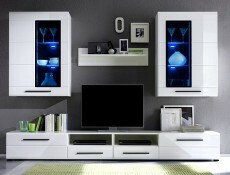 Argus White Gloss Living Room furniture Set. 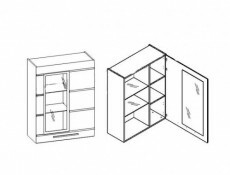 - Argus furniture set will fill all the functions needed in your living room - it will offer storage space, room to display decorations and place your audio and video equipment. 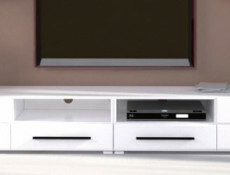 - TV cabinet offers you room to place your electronics, store magazines CDs and other small items. 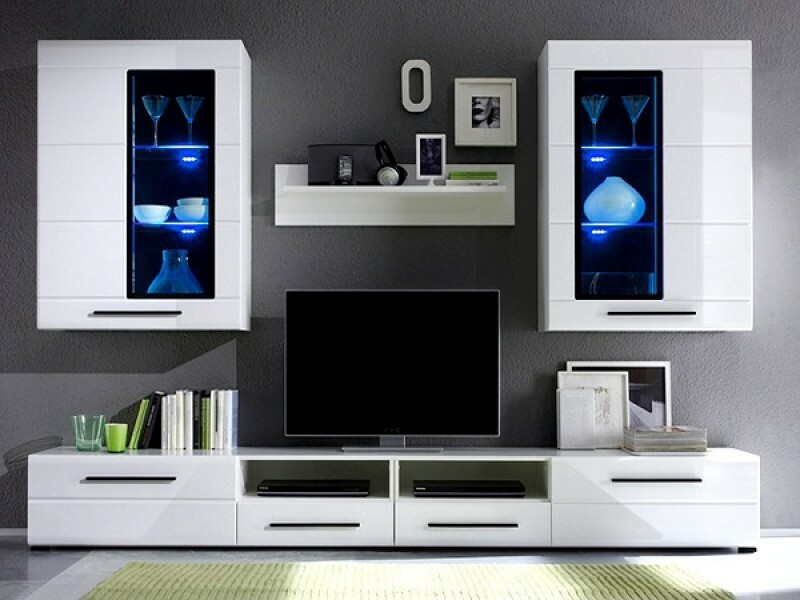 - Practical storage space for your small items and house accessories is created by TV cabinets with drawers and a functional shelf. - A practical and visually appealing solution for a glass-door cabinet is introducing energy saving LED lighting to it. The MDF fronts have beautiful White High Gloss finish. The body (top and sides) are made of high quality Chip board in white matt finish. Black metal handles add character to the set. Wall Display Cabinets have 4 mm thick tempered glass with thin black frame edging. LED lights are included and create unique atmosphere in living room. Total floor space required for this set is 280 cm. 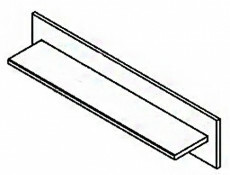 Size of the set when placed as shown on the image: Height:190* cm / Width: 280 cm / Depth: 43.5 cm* NOTE: The height depending on how high wall units are placed. Size: 20cm (D), 100cm (W), 22.5cm (H).